A natural reusable body scrub pad, ideal for knees and feet or anywhere else you may get rough skin. Plastic free and biodegradable/compostable at the end of its life. Does not release microplastics into our environment. 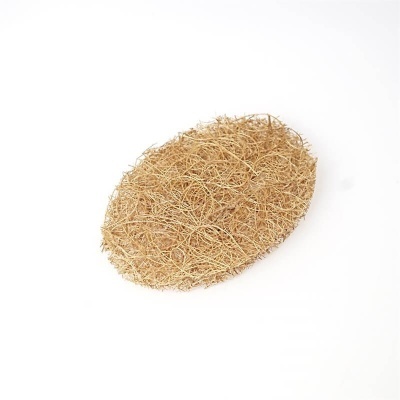 Is there anything that the coconut scourer cannot be used for? This one is rounded and designed to make scrubbing hard skin effortless. Just right for knees and feet or anywhere else you may get rough skin.